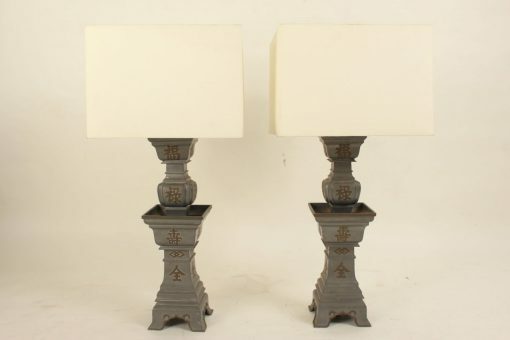 Pair of Chinese style pewter finished lamps with brass Chinese style calligraphy decorations, circa 1960-1980. Height to top of lamp shades 35.5″. Height of metal lamp bases 25″. The bases measure 7.25″ X 7.25″.